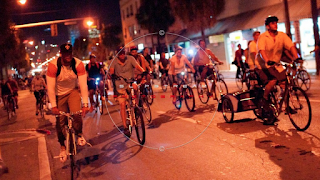 An estimated 1150 cyclists participated in the Miami Critical Mass ride on Friday, January 27th, the largest attendance thus far since the ride started in 2007. Here's some photos & videos from the ride. Next ride is on Friday, February 24th.